Gaston Engineering & Surveying, P.C. 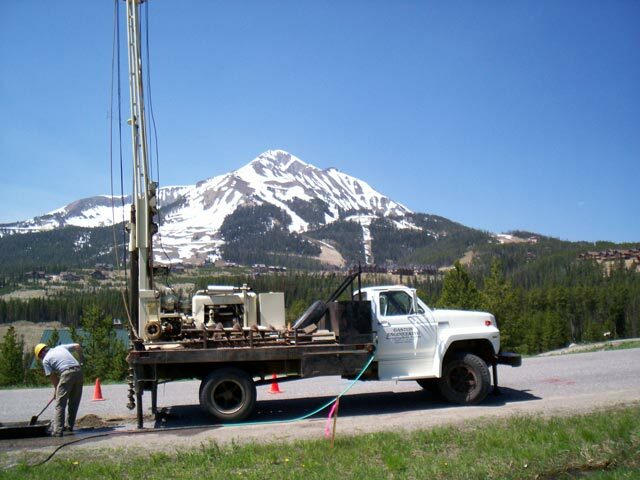 has extensive knowledge in the area of geotechnical and materials projects. A few of the subcategories that we have specific knowledge in are: Exploration, Drilling & Sampling, Materials Testing, Geotechnical reporting and analysis, and pavement design. We have completed multiple projects that involve project development from conception through construction. We have also completed many projects that involve comprehensive and complete pavement design and project development for large subdivisions and rehabilitation projects. We have experienced staff members that are trained with Troxler Nuclear Density gauges, CME 55 Drill rig with 30′ of solid stem auger and 100′ of hollow stem auger, Accu-tek Compression Tester for testing and breaking of concrete cylinders, and ASTM and AASHTO Standards for materials testing, proctors, sieve analysis, and other testing in our soils laboratory.